I’ve been encouraged by how much we have been able to clean up and weed out! Our home is only 1000 square feet with two bedrooms and 6 people living here… And hardly any closets. We did partially finish the attic so that we could use part of it for storage, but even that isn’t that big. I’m not sure where all this stuff is coming from, but each time a bag leaves my house a breath of fresh air enters! We are now into the 7th month of the year, so I ought to be at least ½ way through my purge goal and we are! Item #1037 (of 2014) just left my house this morning! However… I feel like I’ve had bags and bags of stuff and I’m not sure I can keep up the pace through the rest of the year! We will see! Hopefully I can! Items #1, 2 and 3. The first things out the door! 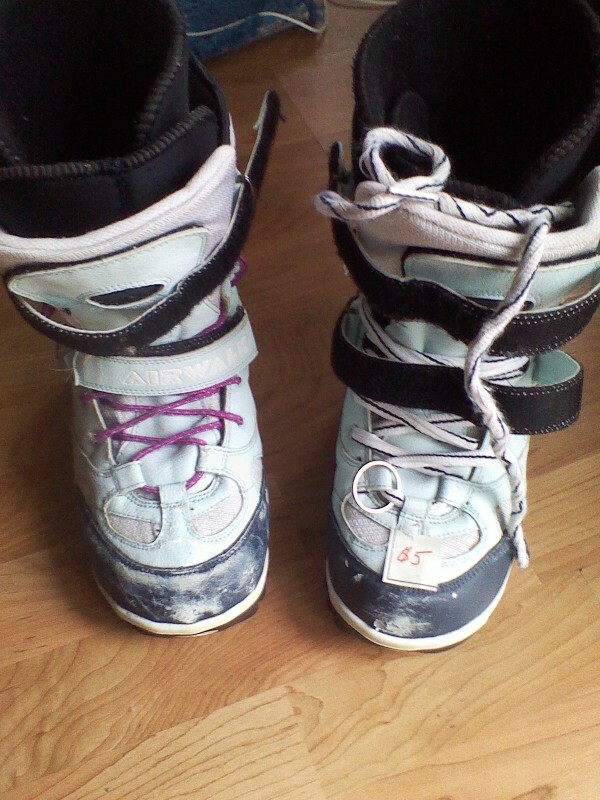 My old snowboard, bindings and boots. I had two full sets and I haven’t gone in 7 years due to either being pregnant or having a newborn! These I sold on craigslist for $75. A loving boyfriend was buying a set to take his girlfriend snowboarding! Extra birthing supplies – given to my friend who was expecting. Was, being that she had the baby a few months ago! It’s amazing! I had TONS of supplies left over and I had EXACTLY what she was missing for her homebirth! God is good! 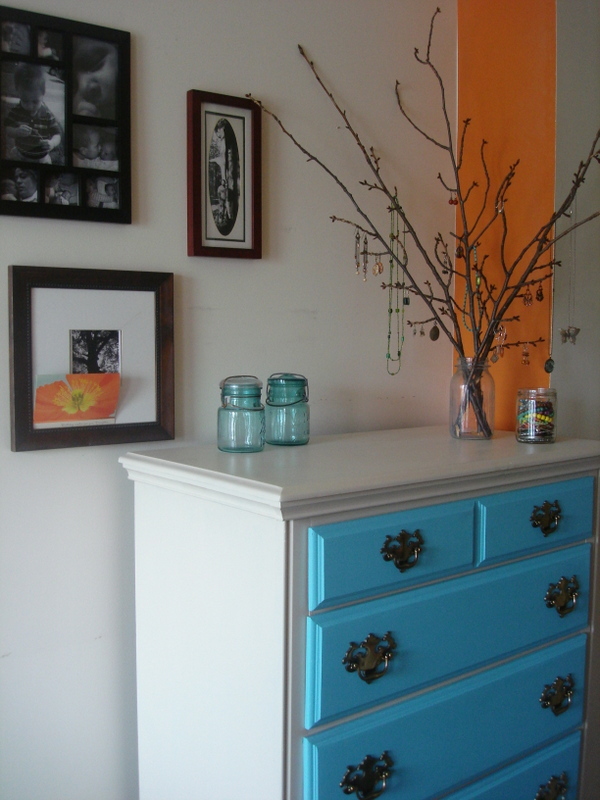 IKEA Hopen Dresser sold on Craigslist for $30. 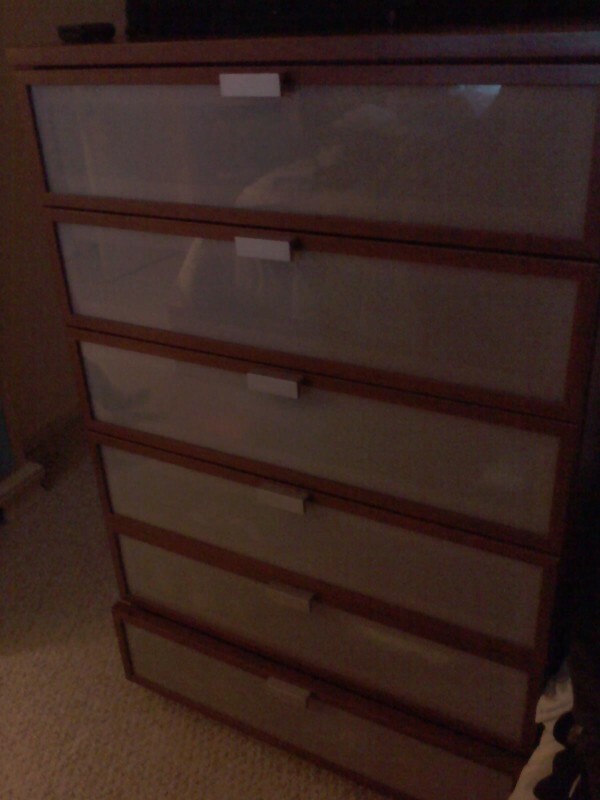 This is after we’ve used it for 10 years and I was able to find a free broken dresser on Criagslist! Brian fixed it and I painted and it’s better than what we had before! This was a huge purge of little boy clothing that I was saving for IF we have another boy. However we had SO much, there was no reason to keep it all. This purge included 194 pieces of boys clothing taken to a yard sale, 16 pieces of boys clothing given to a friend, and 32 pieces consigned and $30+ store credit received! These were the most recent items and were sold at a booksale I organized for homeschoolers at our church. I only sold 3 homeschool books, but they went for $45! I still have a ways to go and I’m still looking at my home with a critical eye. I think my hubby and kiddos sometimes wonder if I’ll throw them out too! As of now the tally adds up to 1037 items lighter in my home and $171 richer. All that to fund my homeschooling needs for next year. I’m almost done with my purchases, just a few things left that I haven’t been able to find used. That dollar amount also doesn’t include the tax write off I will receive at the end of the year with taxes. I’ve used It’s Deducible to average donation amounts for all the items I’ve taken to the thrift store. So far that dollar amount in tax credit is up to $461. We are at a good start and I’ll follow up with the final totals once we hit the new year! How are you doing? Are you lightening your stuff quota? Cleaning out? Freshening up? I’d love to hear!